Sigma 14mm f/2.8 DG HSM A Lens - Nikon Fit. 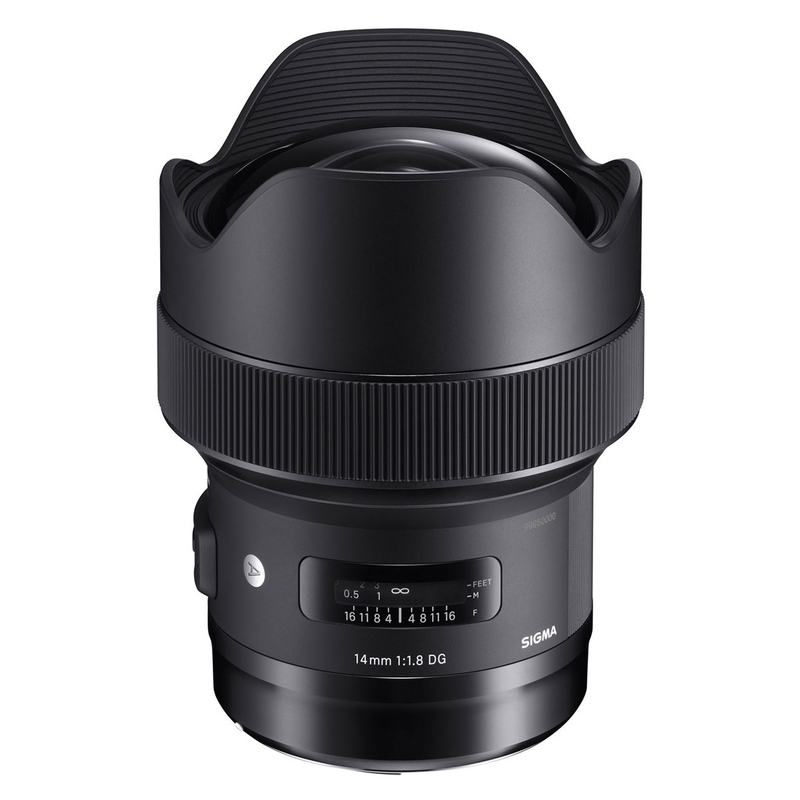 The Sigma 14mm 1.8 DG HSM Art is the worlds first 1.8 prime lens at the 14mm focal length. This fast wide prime features the same large aspherical element touted in the Sigma 12-24mm F4 Art to control distortion and create stunning imagery. An updated Hyper Sonic Motor (HSM) provides fast and accurate autofocus while 3 Premium FLD and 4 SLD glass elements control chromatic aberration and sagittal coma flare. Building on the highly reputable Art line, the Sigma 14mm 1.8 DG HSM Art is designed to resolve the latest high megapixel DSLR sensors. Like each and every Global Vision Lens, the Sigma 14mm 1.8 DG HSM Art is handcrafted at our single factory in Aizu, Japan and undergoes individual evaluation before leaving Sigma’s facility. Works well with a D810. Very low distortion nice contrast noticibly sharper than old faithful (1424 2.8). F 1.8 spot on for night skys. Perfect.